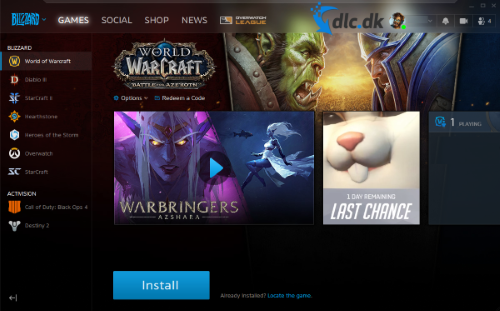 Download Battle.net for free here. The Battle.net client ensures that all your Blizzard games are updated. 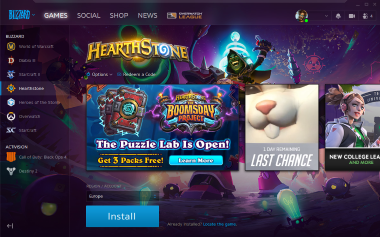 Battle.net is only limited to Blizzard Entertainment game, and it is quite understandable as it is Blizzard Entertainment, which has developed Battle.net. In addition to limiting your own games, Battle.net works a bit like similar software such as Steam, Uplay, Origin, etc. Blizzard Entertainment basically did not want Steam to have a part of the cake when they were to publish their games, and therefore they developed their own platform. But it's not just about savings, and Battle.net is an outsider Steam in certain areas, as we come closer to the following. Battle.net is unique in terms of design. Blizzard Entertainment has always had the reputation of having excellent art department in the development of their games, but apparently also in their software. Battle.net is relatively minimalist to look at, and finds all features, games, and settings through easy navigation. This immediately contributes simply to ease of use. Battle.net has a number of unique features, which are not immediately found with similar software, and the following are our two favorites. Streaming: With this feature it is possible to stream your game directly to the Battle.net client or to Facebook. The setup is relatively simple, and therefore does not require the greatest technological knowledge to make use of it. However, please note that when streaming from one's computer, it is demanding for one's CPU and Internet connection. So if you experience impaired gaming experience, turn off streaming - or adjust your streaming settings. Streaming has never been as popular as it is today. It is therefore obvious that Blizzard Entertainment includes the opportunity to stream your gameplay to your friends in an easy and straightforward way. However, you hardly build a streaming career in this way. You need to take advantage of popular streaming sites such as Twitch.tv. 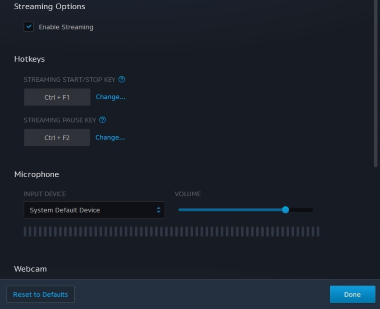 If you want to stream on Twitch.tv, you also need to use software as Open Broadcast Software, as Battle.net streaming is restricted to your friends list and your Facebook profile. The most unique feature of Battle.net is the adjustment of game settings. You can directly change from your client to your game settings - so they are installed on Battle.net. These are the overall settings that you have the opportunity to change. The more specific settings such as graphics settings must still be adjusted within the game itself. It is the Windows version of Battle.net, which you can download from here. But Battle.net is also developed for Android, iOS, Mac, Linux and Tablet. The different versions can be found by using this link. Application versions for iOS and Android are best seen by visiting their application stores. 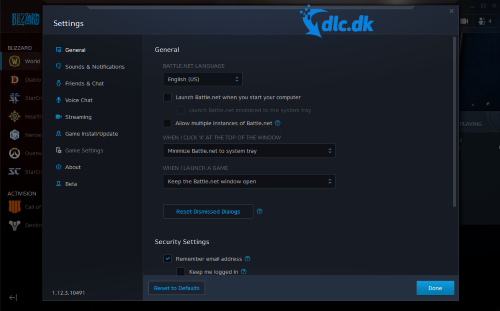 As mentioned in the introduction, Battle.net reminds much of similar software, such as Steam. Steam: is a huge online market with a huge range of games. In fact, all imaginable games are available, just apart from the Blizzard Entertainment game. 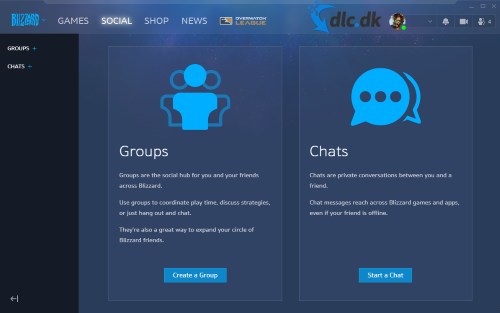 Like Battle.net, Steam is also a social platform and features features like additions of friends where you can see what each other is playing, invite each other, create groups or simply write. Discord: is a complementary communication tool. This software has no game lying, but is free to download to communicate with friends, family or colleagues. Discord is meant to communicate while playing games and quickly becomes the players preferred communication tool. If Blizzard Entertainment gave Steam permission to publish their games, Steam requires a certain percentage of sales. 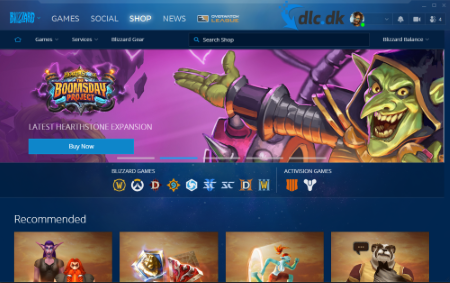 As Blizzard Entertainment has its reputation, Blizzard Entertainment does not need to promote their games on ea platform like Steam, and therefore they have developed their own. It makes sense, but it may also be a bit of trouble that you have to have more clients lying on one's desk. Fortunately, Battle.net is excellently designed, developed and works perfectly. In fact, we would almost wish that we could use Battle.net rather than Steam in the future. 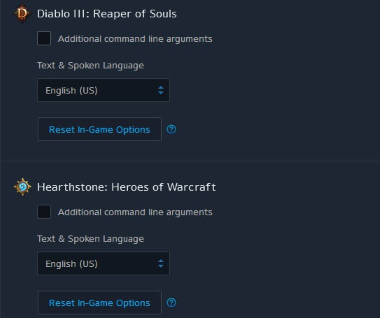 It is worth mentioning that if you download and create a Battle.net account, Blizzard Entertainment has some F2P (Free to play) games ready for you. Among other things, the award winning Hearthstone and Heroes of the Storm. Battle.net really works like so many other social platforms. Social platform like Steam, Uplay, Origin and so on. Like Uplay is limited to Ubisoft games. Then Battle.net is also limited to the Blizzard Entertainment game. Through the application, you can download all your games and keep them updated. There are of course also various social functions, so you always have your friends at hand and ready to fight together. A few other sections in Battle.net are the news and the store. The news is typically upcoming tuning and what the various updates to various games contain. The store contains a wide variety of different items for your favorite game. Battle.net is available for virtually all computer systems. Windows, Mac and Linux can all join. There are also android, iOS and tablet versions that you can find in the various application stores. Basically, Battle.net is definitely worth having if you are a Blizzard Entertainment fan. The design is simple and extremely user-friendly to use. It's a bit annoying that developers publish their own platforms for their game. Find Battle.net, mark it and choose "Uninstall"
Should Battle.net has been damaged or corrupted and thereby difficult to remove we can recommend you finding help to uninstall it here.